Mega offers large scale, high performance CO2 Recovery Plant for application in a wide variety of industries. The offered plant is manufactured by using fine quality raw material and employing sophisticated technology in accordance with the set industry norms. Further, this range is checked on varied parameters to ensure its flawlessness. Available in various standards specifications, this product can also be customized on special demands of our clients. Apart from technology, we engineer the plant very well for ease of operation and minimum maintenance to our customers. We bring forth our esteemed clients with a qualitative assortment of Brewery Based CO2 Recovery Plant. These are designed and manufactured using premium grade components that are quality tested for durability and longevity attributes. Our range is produced by experienced personnel who strictly abide by the international standards. Moreover, our range delivers excellent performance and is acclaimed for sturdy construction and corrosion resistant features. 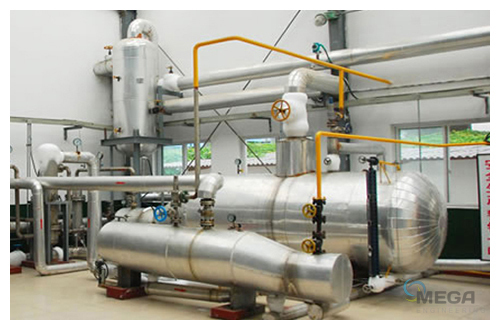 Distillery based CO2 Recovery Plant manufactured in accordance with industry standards, these plants are available with different capacities as to meet client’s exact requirements. These are primarily used for various industrial applications. The continuous process in this recovery plant meets the international food grade quality level.